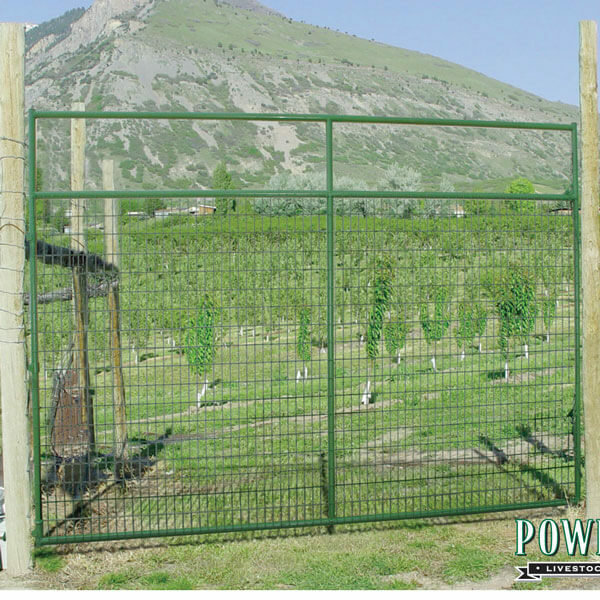 Powder River’s Deer gates are designed to keep those high jumping deer out of you haystacks, orchards, vineyards, gardens, wherever you need them out of…. 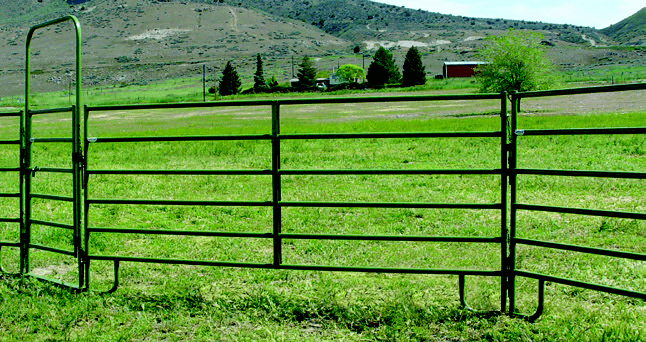 Available in a variety of sizes from 6′ to 12′ these tall gates end up at over 8′ tall once they are installed. They come with 2 chain latches, one low and one high. 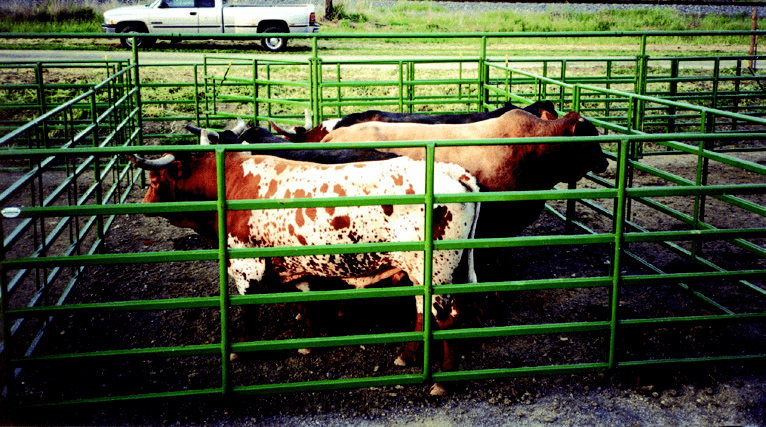 The post attachment for this gate consist of (3) 12″ long threaded bolts. The wire fill is a 2″ x 4″ 8 gauge wire grid. the fram is constucted from 16 gauge 1 5/8″ OD tubing. The gates are finished with a durable green powder coat.